Gene Cernan, the last man to walk on the moon, died on Monday, January 16. He was 82. NASA didn’t state the cause of Cernan’s death, but they did note that he had been ill for some time, and was surrounded by family at the end. In tribute, NASA wrote of Cernan, “A captain in the U.S. Navy, [he] left his mark on the history of exploration by flying three times in space, twice to the moon.” Let’s not let the story of human lunar exploration end with Capt. Cernan. I take leave to speculate that he wouldn’t want to be the last man ever to walk on the moon. Elsewhere in the solar system, the latest data from Pluto shows us evidence of jagged, spiky, needle-like surface features called “penitentes.” If their presence is confirmed, this would be the first time these icy formations have been found anywhere other than Earth. On our home planet, we know these icy spikes can grow up to several feet tall. They form in higher-altitude environments, where the atmosphere is thinner and melting ice can sublimate directly away into water vapor, without ever becoming liquid. Sometimes you can also see them in melting snowbanks, with all their little points aimed at the sun. Lead author John Moores says these penitentes may well be found in other locations across the solar system. Europa is a prime suspect, because we have radar signatures from the Galileo spacecraft suggesting similar fields of ice pungees. But Moores says penitentes may even lurk in places more familiar and closest to home — like Mars. Observed by the prodigal Japanese spacecraft Akatsuki, the giant wave is thought to be broadly similar to the way surface ripples form as water flows over rocks on a stream bed. In this case, the wave may form as the lower atmosphere flows over mountains on Venus’ surface. The mammoth waveform is called a gravity wave. Not gravitational waves; gravity waves. In short, gravity is pulling fluid whose surface has been disturbed, back to a position of lower gravitational potential. Why don’t we see waves like this elsewhere? Why do we think this one is the biggest? Dr. Alvin Wilson, of the ESA’s Venus Express mission, explained to the BBC that because Venus rotates more slowly than Jupiter, its surface can support a standing fluid-dynamic feature like this, where Jupiter’s atmosphere is “broken up into belts” and would have destroyed the wavefront with turbulence on a planet-wide scale. Last but not least, scientists are puzzling over something bright, shiny and new in the elliptical galaxy Cygnus A. We actually found it some years ago, but everyone thought it was just an artifact, perhaps of the enormous black hole at the center of the galaxy. Part of the problem was with the imaging tech; the bright spot is such a deep red that it barely shows up in the visible spectrum, so instead of relying only on Hubble’s snapshots of the region, astronomers compared data from Hubble and Keck with new observations from the NRAO’s Very Large Array. Sure enough, it’s not an artifact. But we don’t really know what it is. It’s twice as bright as any supernova we know of, which makes it puzzling. 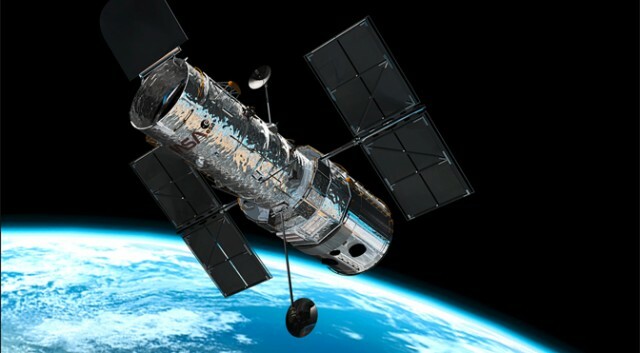 Even more puzzling is that the object shows up in certain shots from Hubble, but not others. Usually, flares this bright only come from black holes eating something really big. Like another (much smaller) galaxy. So astronomers are pooling and circulating their data, trying to get everyone’s eyes on the readings from that region of the sky so that we can start making hypotheses. As with so many “we found a thing in space!” stories, the final word: more telescope time will tell for sure. Or see attached file below. You can select any of these settings from the Bundled Setting or if you are a tweaker you simply play around the proxy tweaksettings to get it working too. nb:for the etisalat chat pack, you don't need to search for any proxy, you can simply do a reverese proxy with any of the Tweakware server address (avs's), on port 3128 or any port specified for it. The connection idleness can be fixed with the Keepalive option. 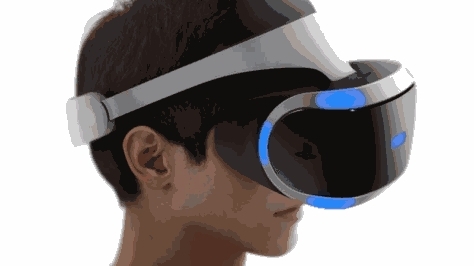 The PlayStation VR doesn't just work with the PlayStation 4. As it turns out, the virtual reality headset can actually accept any valid HDMI input, albeit without the full virtual reality experience. When the PlayStation VR is connected to a regular HDMI output, such as an Xbox One, the headset displays content in a 'cinema mode.' In this mode, a large 2D screen covers most of your field of view, as if a cinema screen was positioned a meter or so from your face. Move your head and the screen stays in place. The fact that the PSVR can accept inputs from any HDMI source gives it a leg up on its headset competitors, the HTC Vive and Oculus Rift. Both of these headsets are designed for PC games, and support non-VR content from a PC in a cinematic mode similar to the PSVR, however neither headset works with standard HDMI sources from a console or other device.